Agni is a 2004 Indian Bengali thriller film released on 2004. The film is directed by Swapan Saha, produced by Mukul Sarkar. 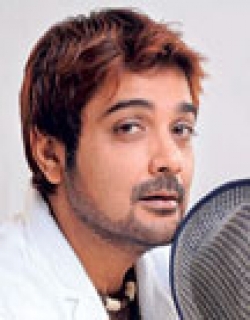 The film is about an honest police officer, Agni (prosenjit) whom terrorists are trying to murder but end up killing a number of school children in a school bus. The police officers are very worried about the rising crime rate and they vow to curb their attempts. Agni is given the charge. Agni while trying to save people from a terrorist attack in a shopping complex rescues Tina (Neelanjana) who falls in love with him. 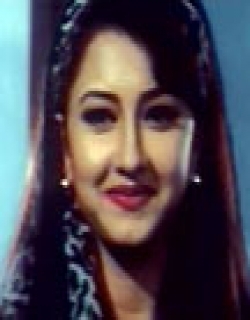 She later discovers that he is married to Chandrani (Rachna) and even has a son Apu (Master Anshu). However this does not deter her love for him. She keeps on finding ways to go to Agni's house. She also becomes friendly with Apu. One day she takes Apu with her from school without Chandrani's permission. Apu studies in a school owned by Dr. Sayol (Tapas Pal) who does not have a child. Meanwhile Agni succeeds in catching members Pamela and Peter of the terrorist gang. 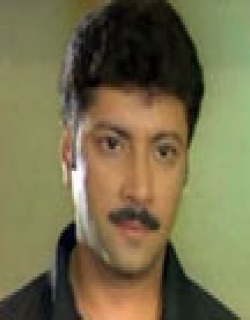 During this time Agni's son is locked up by the principal of his school, who is thought to be kidnapped. Agni tries his best to find his son but fails. The principal then releases Apu who is then taken care of by Anu. Meanwhile the political agents come and kidnap Apu murdering Anu. Agni then agrees to release Pamela and Peter in return for his son. He is asked to go to the airport and place a briefcase laden with bombs. He fights with the gangsters and finally rescues his son. At last the politician is also put behind bars. Check out this page for more updates on Agni. This page provides latest and updated information about Agni (2004) movie which released on 2004. Agni (2004) is directed by , produced by , starring .We have also provided 0 trailers and videos, 0 photos, 6 user reviews, and 0 critic reviews.Agni (2004) has received 2 rating from user reviews.The overall rating of Agni (2004) is 40 and movie is 2.You can review, like, dislike this movie and also can add to favorites. You can also find information on showtimes, CDs, DVDs, online rental, online free watching.